I was involved in projects as a Team Lead and Architect, worked with API, designed independent frontend/backend applications with roles and ACLs that communicates via REST API. Have an experience in designing and developing of international web-application with a complicated rating system, featured with animations and dynamics effects. Also I have 2+ year experience in development of payment gateway solutions and crypto banking applications. Service that allows to collect and process information about employees of certain industry. Contest web-application introducing online battles among IT sysadmins. Complicated rating system.Featured with animation and dynamics effects. 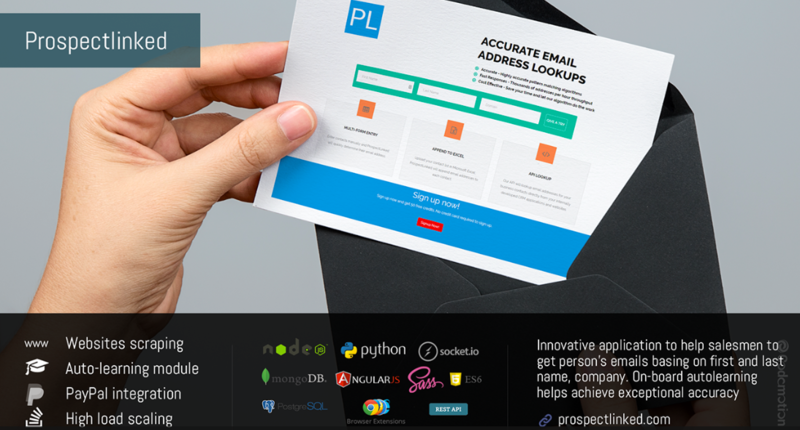 Innovative service that helps you create outstanding signatures for your favorite email services. You can choose colors, pictures, links to social networks, contact information, etc. Automatization of working with documents for international shipments. Facebook web app, created for the competition of social projects. Web application that simplifies reporting, optimize the process of filling medical forms. The system provides a variety of roles and levels of access to filling and editing of patients data. Web site, representing a personal account for the user IP-telephony services. It provides users with a complete statistics for all calls within its company, with the ability to listen to the recording of conversations. Effective call tracking service to help analyze offline conversions. Modern e-commerce site selling coffeemakers, coffee and related accessories with high conversion.